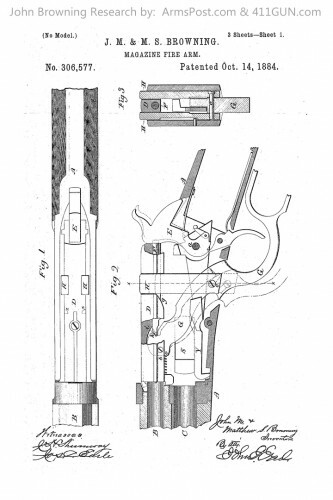 On May 26th, 1884 John Browning applied for this patent. 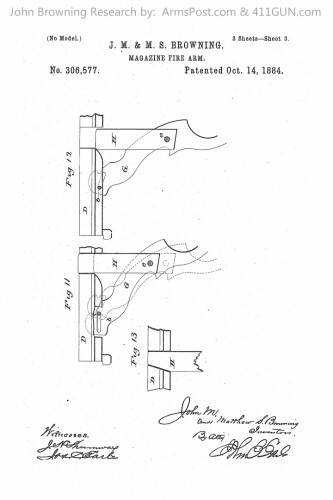 It was later that same year on October 14th, 1884 that he was granted US Patent 306577. 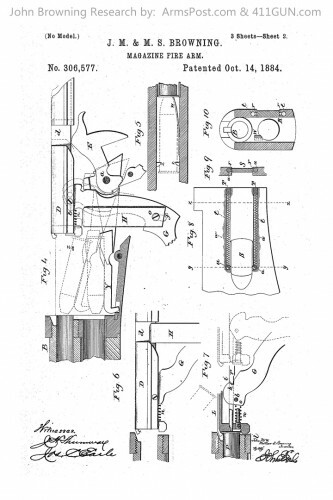 This US Patent became the famous lever action repeater rifle, Winchester Model 1886. The design would also become the Winchester Model 71. Most of these early patents by Browning were purchased by Winchester.